You wake up in the morning, and there it is, on your kitchen table, the most perfect antioxidant smoothie, loaded with healthy ingredients. Sounds great, right? If it is delicious -- you have a winning combination! 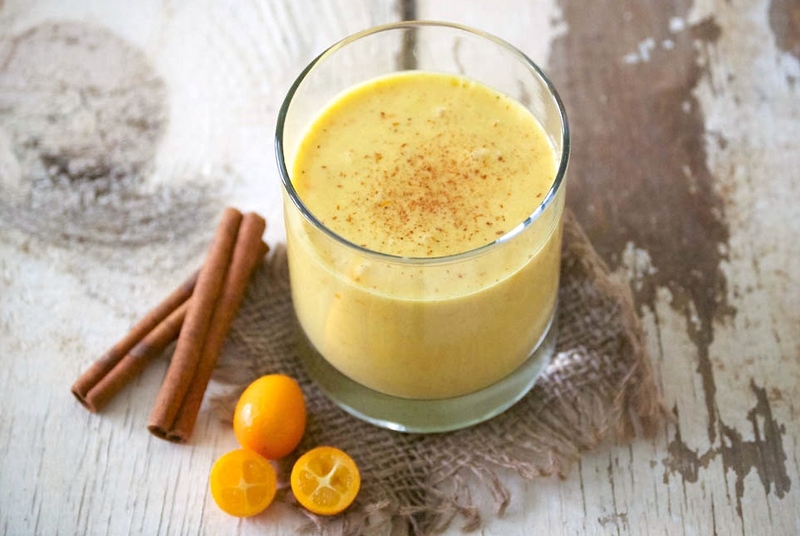 Have you ever prepared this health-friendly turmeric smoothie? First, let’s talk about the healing properties of turmeric, and then we shall discuss more over the actual smoothie recipe. Turmeric is a rhizomatous perennial plant and it is part of the ginger family. It is the main spice in Indian traditional meals. Turmeric is often used in the treatment of many health conditions. It has antioxidant, antibacterial, antiviral and anti-cancer properties. Indians use turmeric as a remedy for stomach problems and different liver diseases. It contributes to the liver detoxification and supports the enzymes in the fight against carcinogens. Turmeric is often used as a powerful remedy against depression. We have also listed some more of its healing properties, and we hope that these would be enough for you to include it in your diet as soon as possible.